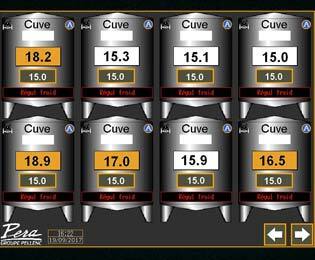 The temperature is regulated on a user-friendly touch screen showing a diagram of all the tanks in the cellar. 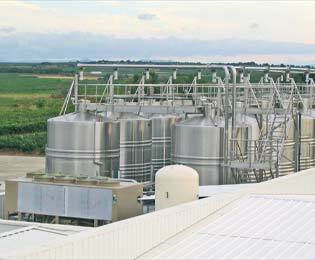 On this screen, the winemaker can see (at all times and in real time) the temperatures of all the tanks, their instructions and the operating status of the exchangers. By selecting a tank, the winemaker accesses the temperature variations in the previous 10 days or with greater accuracy for the last 24 hours. 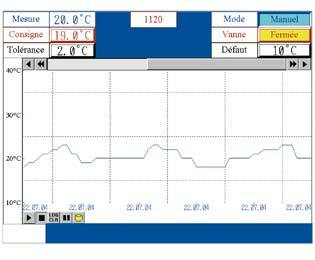 The new graphic temperature regulation interface will meet all the needs of the most demanding winemakers. 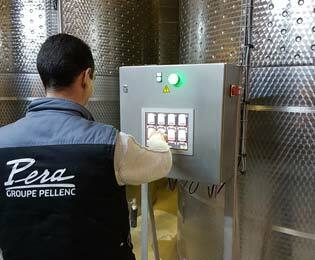 Finally, the winemaker can measure and assess the density, allowing full control of the fermentation kinetics.